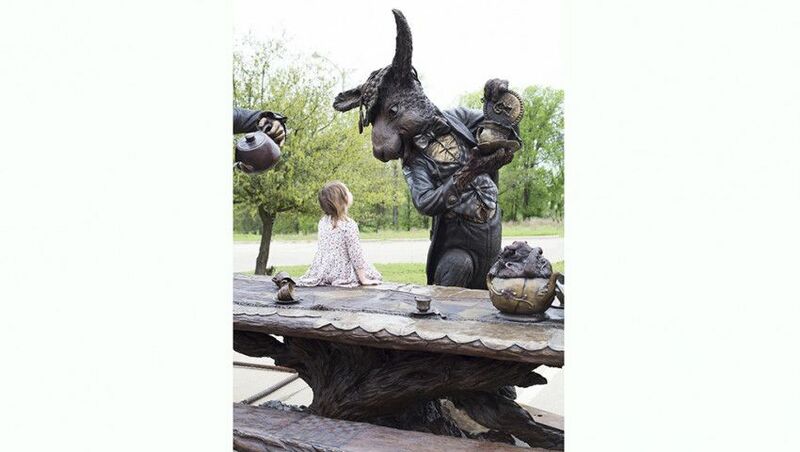 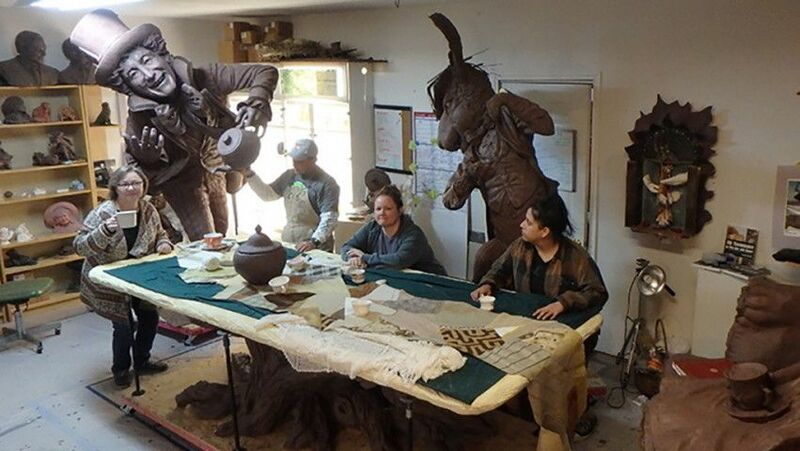 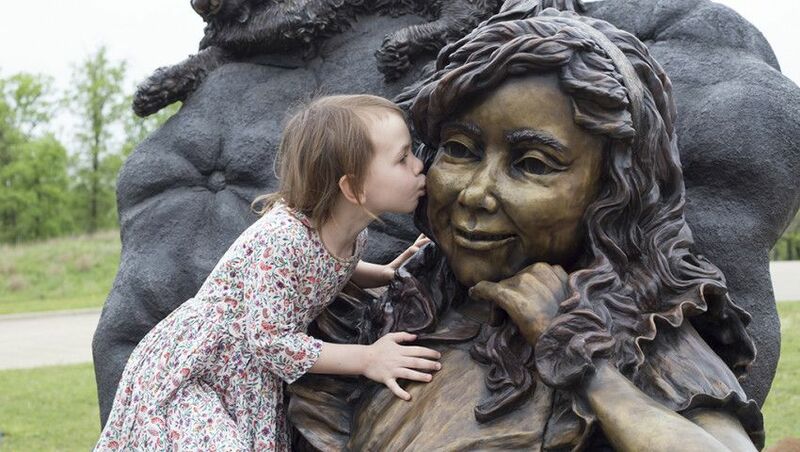 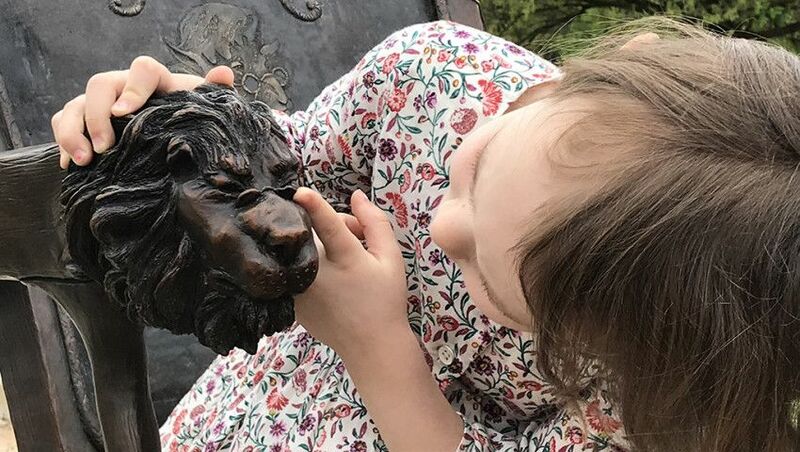 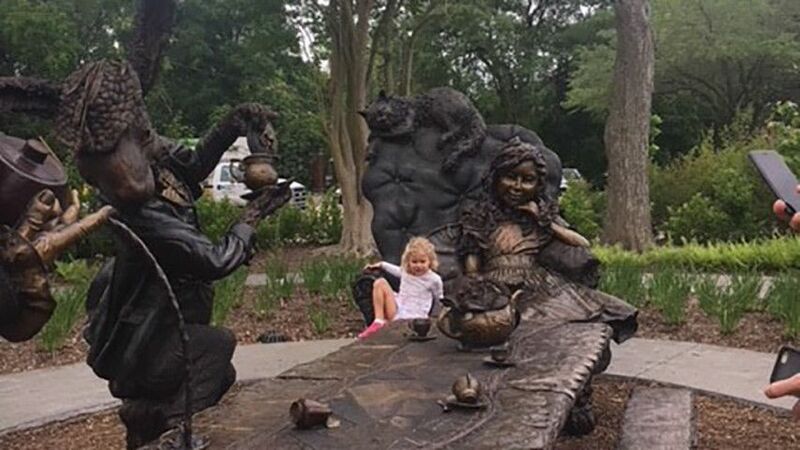 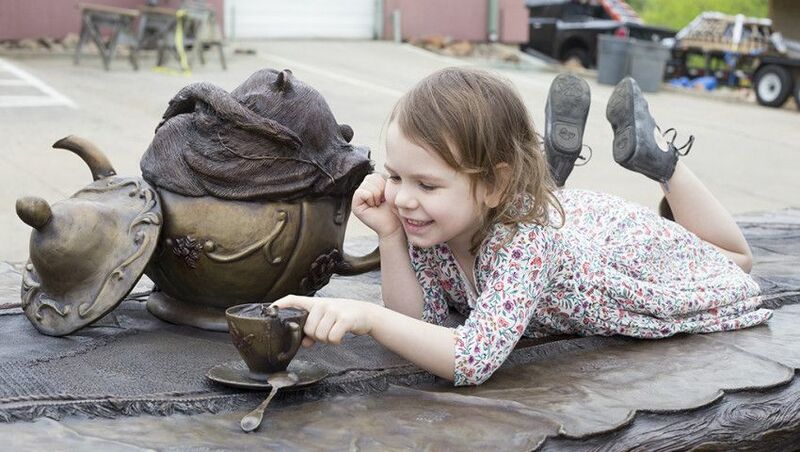 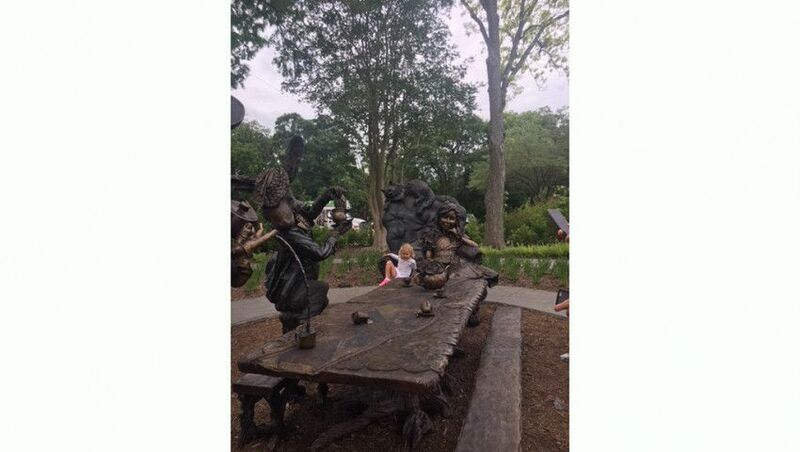 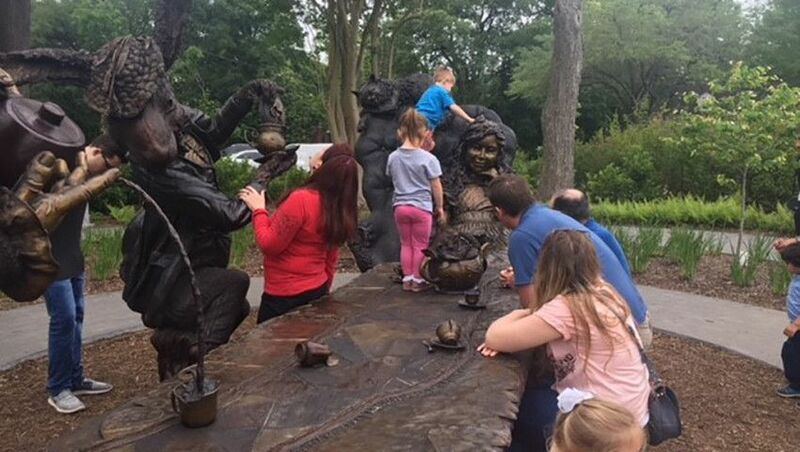 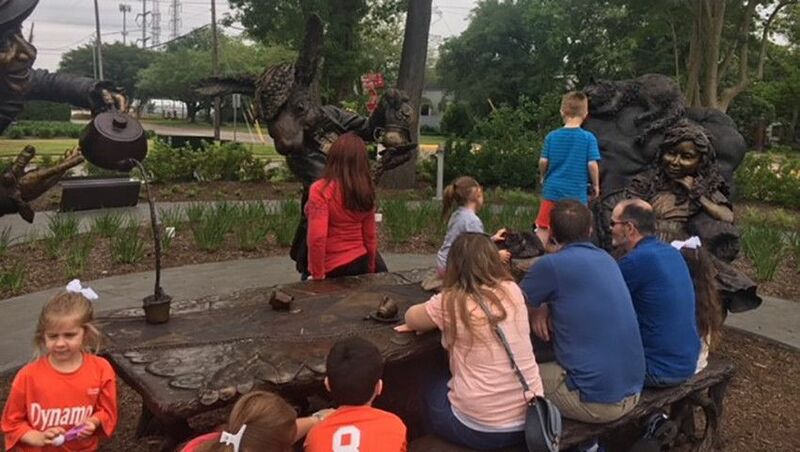 Renowned Sculptor Bridgette Mongeon has unveiled a magnificent bronze-casting recreating the famed “tea party” scene from Alice in Wonderland. 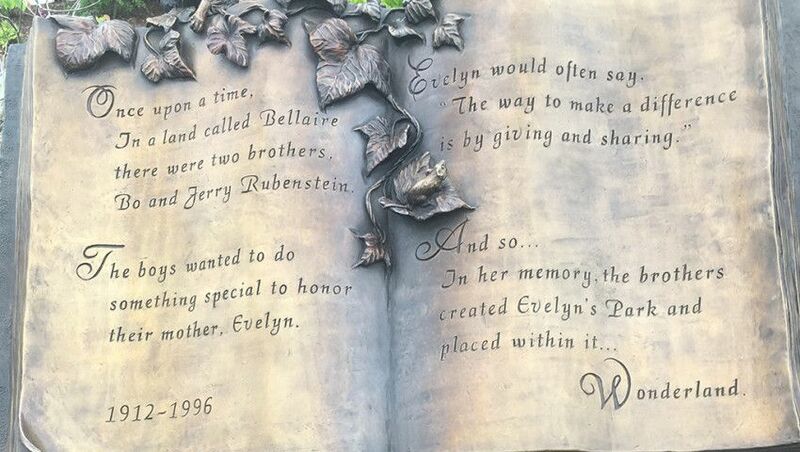 Situated in Evelyn’s Park in Bellaire, TX, Bridgette was commissioned to create this sculpture as a tribute to Evelyn Rubenstein by her sons. 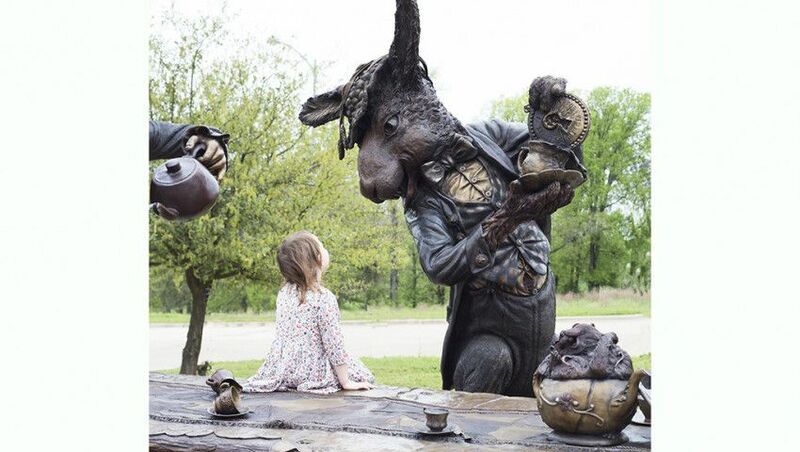 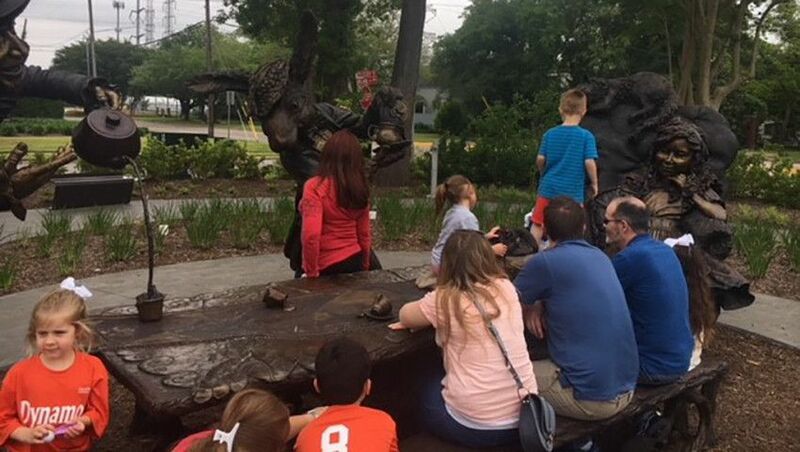 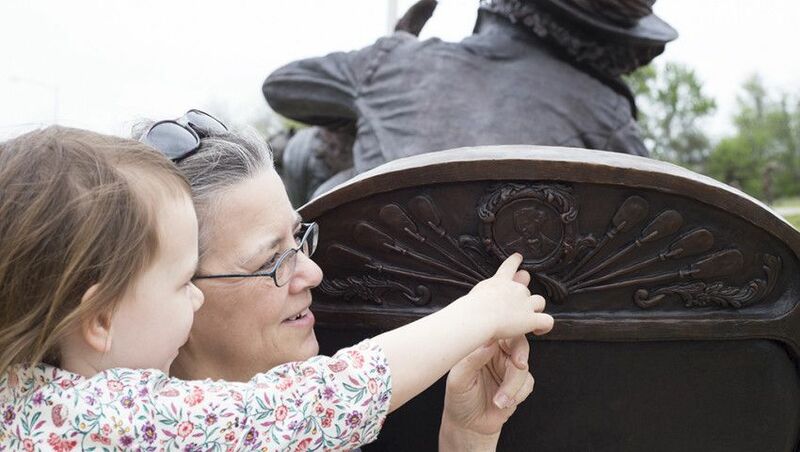 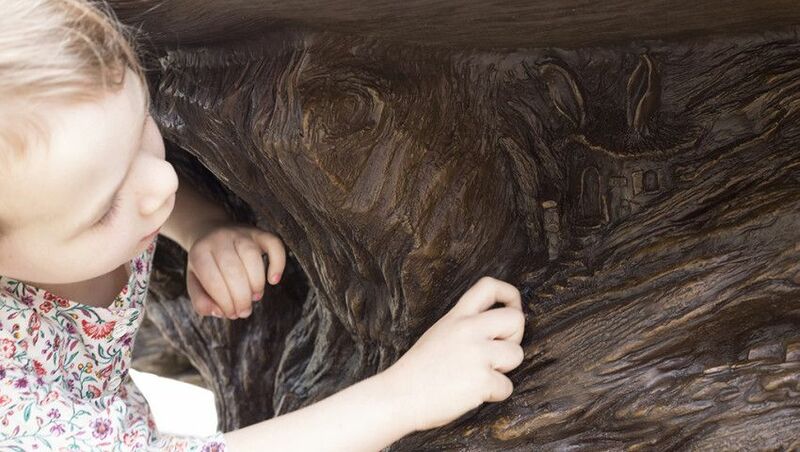 In addition to being a visual masterpiece, the sculpture, titled “Move One Place On,” is interactive – with up to 8 visitors able to sit and join in the tea party with Alice and friends. 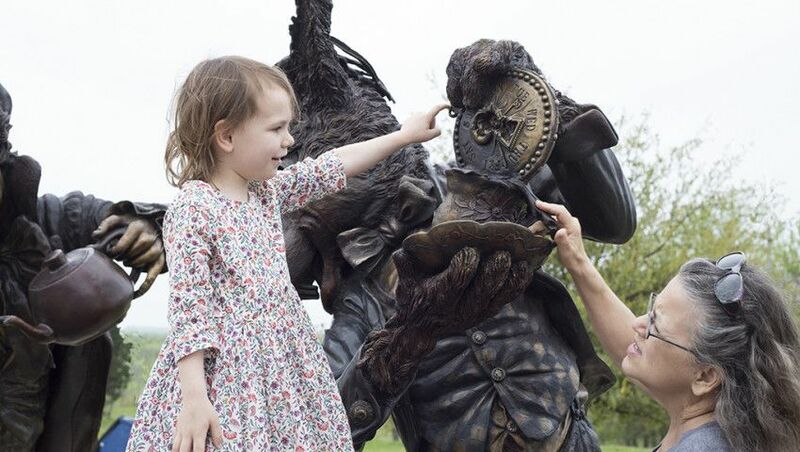 There are also a total of 150 hidden elements from the book incorporated into the sculpture, such as miniature mice and other items, making interaction with the sculpture even more dynamic. 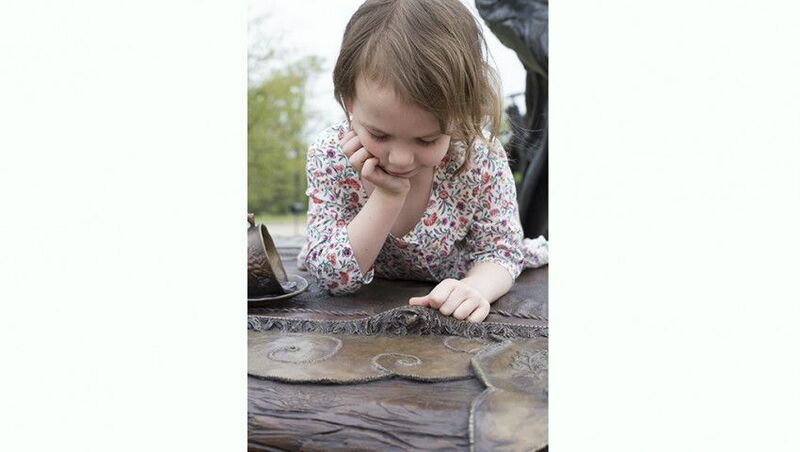 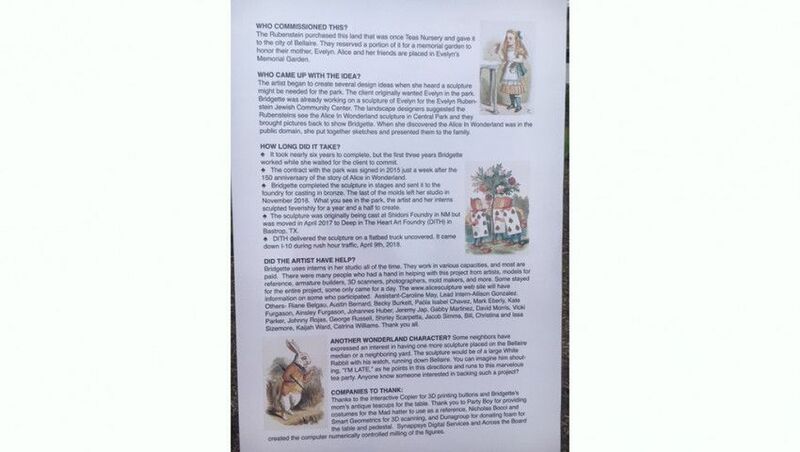 The 150 things are in recognition of the 150th anniversary of the famous book by Lewis Carroll. 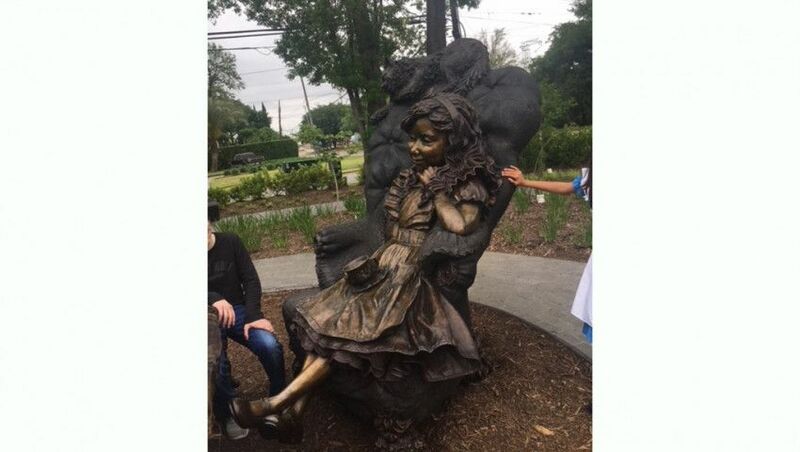 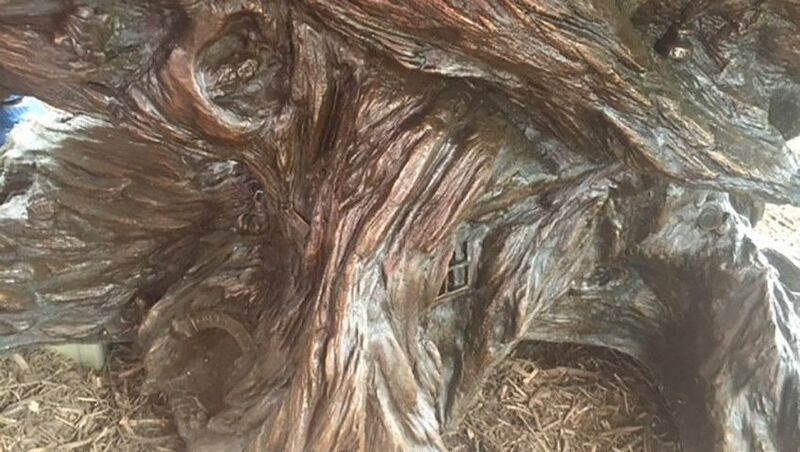 Bridgette plans to begin revealing these 150 hidden items through social media, and the links may be found at: http://alicesculpture.com. 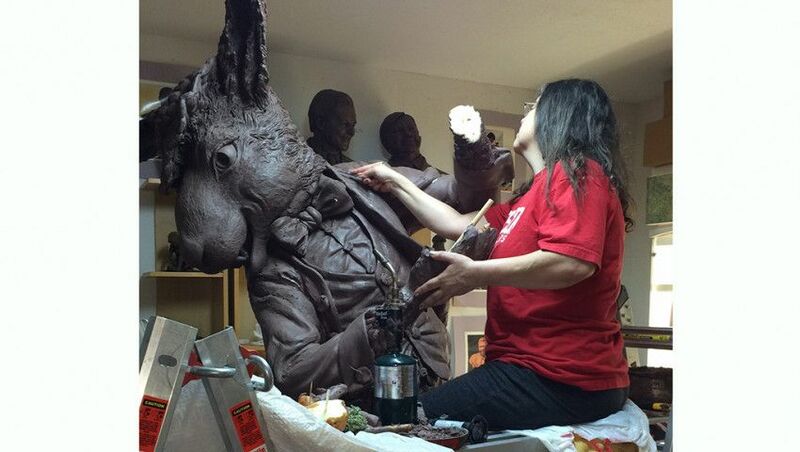 The sculpture was produced using a variety of modern and traditional techniques, from clay sculpting to computer numerically controlled milling, 3-D sculpting, scanning, and printing, to the final bronze casting. 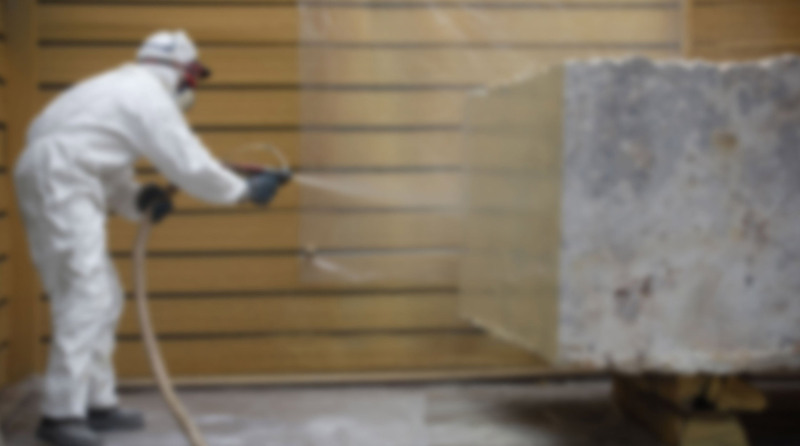 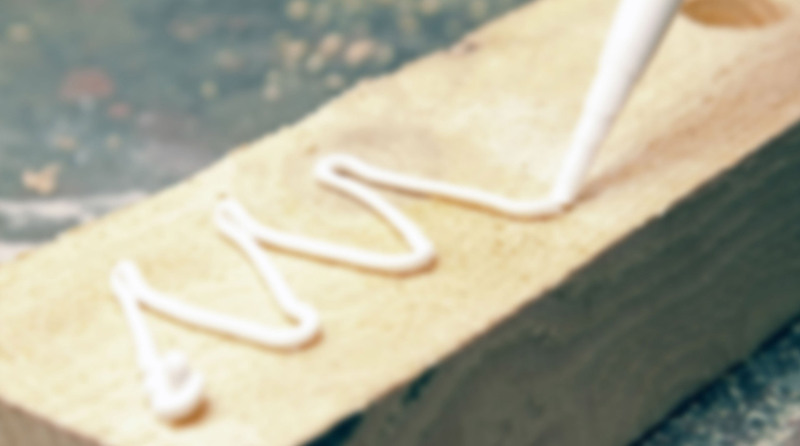 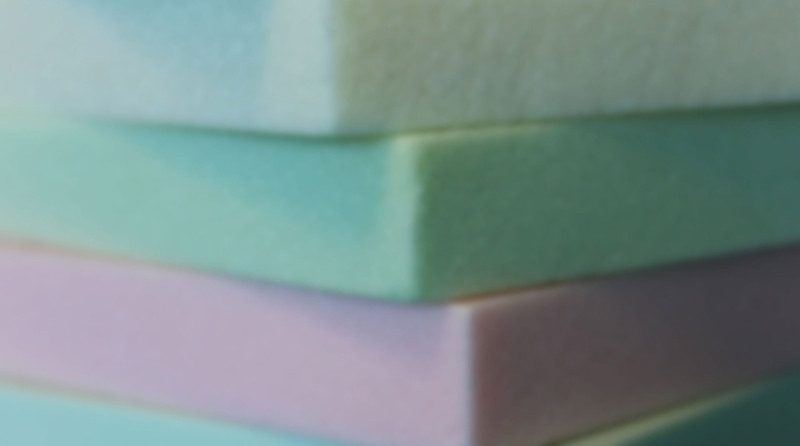 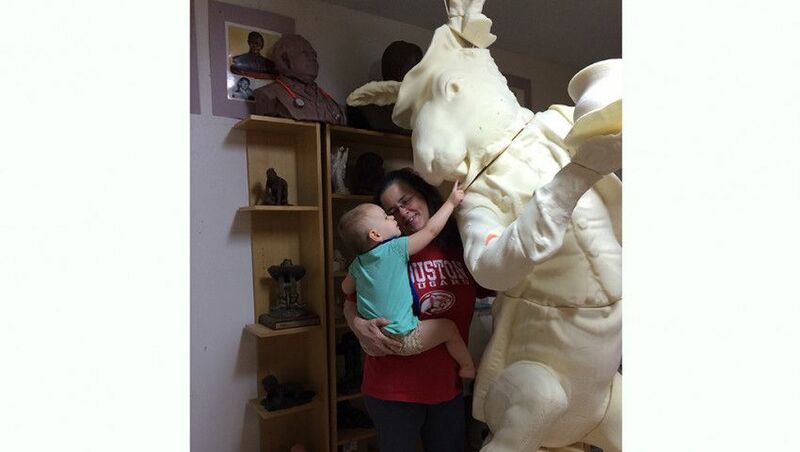 DUNA-USA donated R-40 CORAFOAM® Prop Foam used by Bridgette for carving full-scale mock-ups. 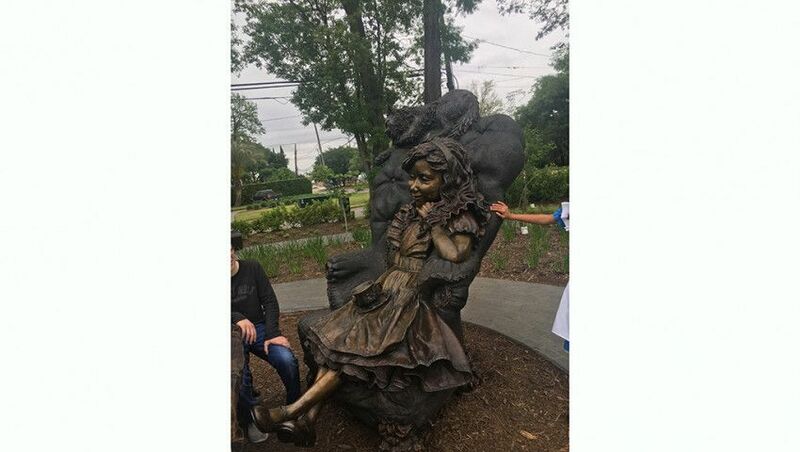 Once the artist completed the sculpting, she sent it to the foundry for bronze casting. 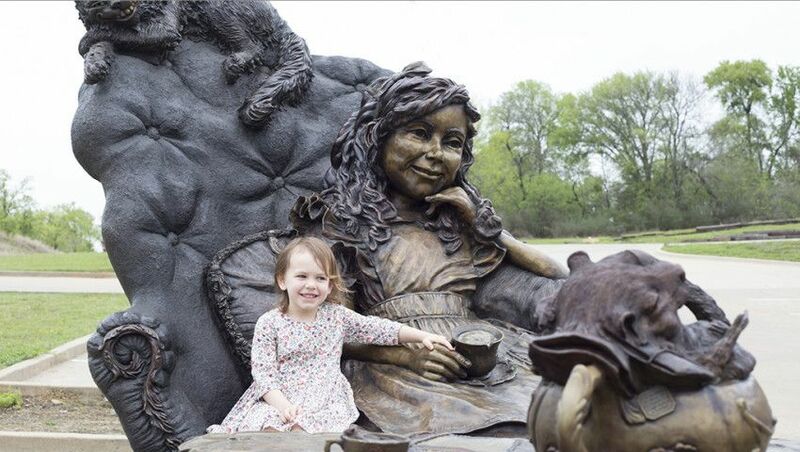 The massive sculpture was a multi-year project and was conducted by a team of interns in addition to Bridgette herself. 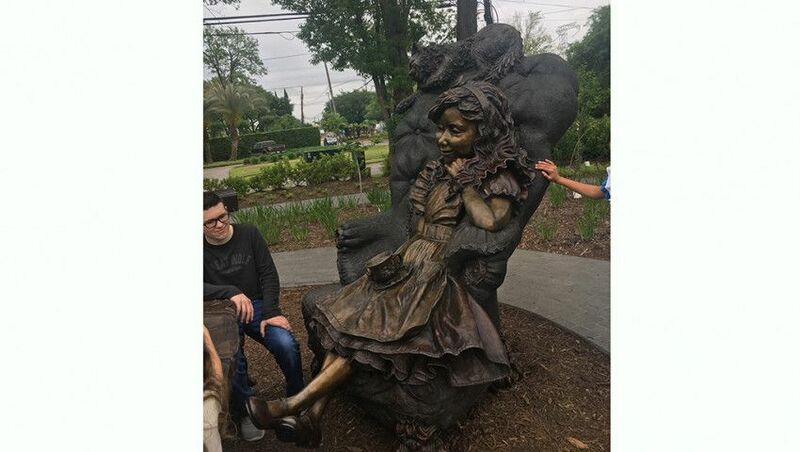 “The Alice in Wonderland project was such a great experience because I had a lot of creative freedom to put my own touch on it and truly explore creativity and technology during the process. 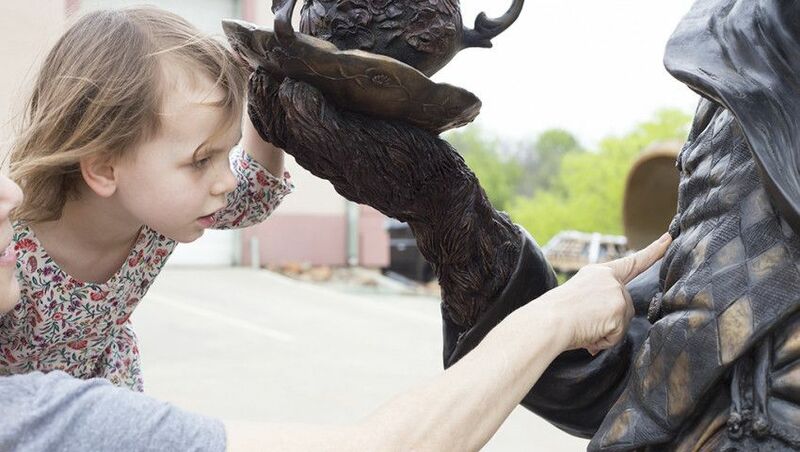 As a sculptor specializing in commissioned work, it is not often I am able to take creative liberties as with this project,” recalls Mongeon. 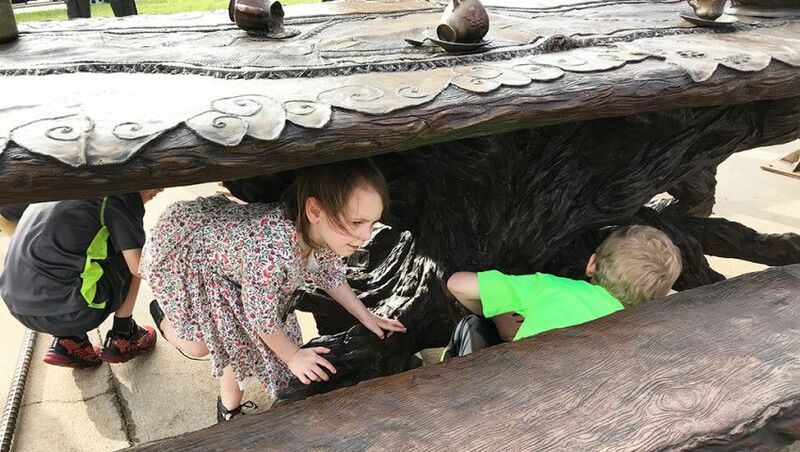 “I’m also delighted that it has become an education tool in STEAM education. 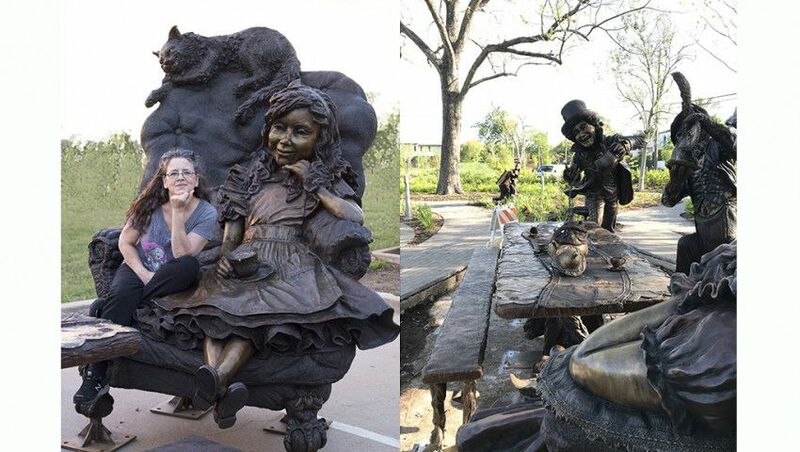 STEAM is an educational initiative exploring the interactive disciplines of Science, Technology, Engineering, Art, and Math,” Mongeon was the keynote speaker at the Texas Art Educations Conference on STEAM in the classroom, studio, and Wonderland. 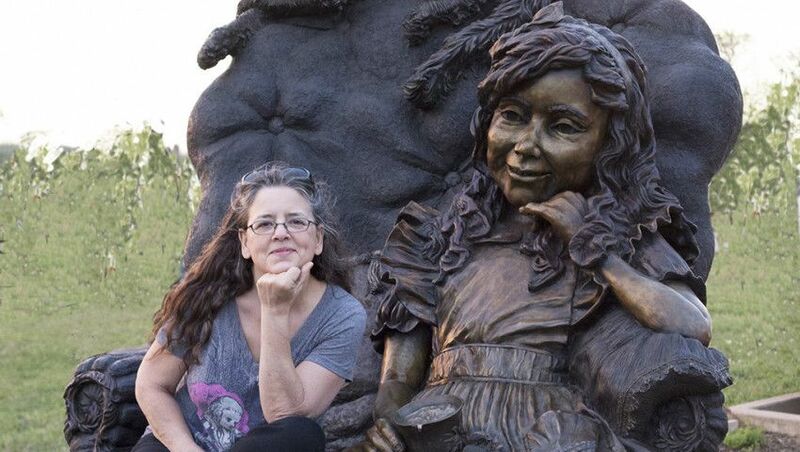 She enjoys educating others and is beginning to offer free educational resources at the Alice Sculpture website. 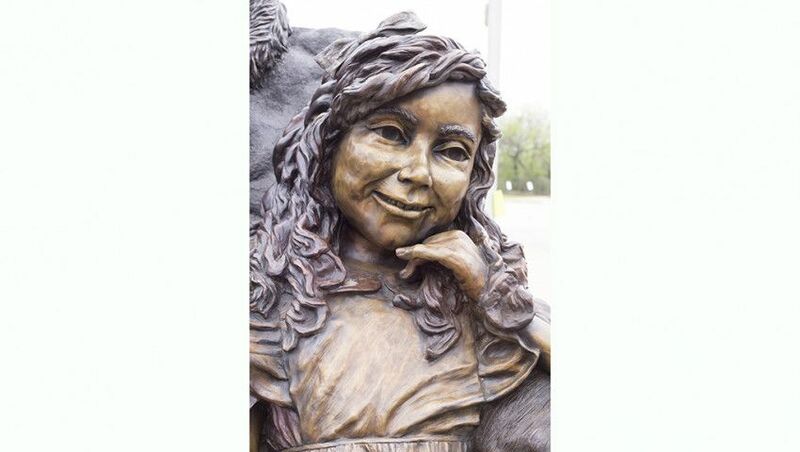 You may see additional information about her at: http://www.creativesculpture.com.